Finance your degree with Brighter Investment. You're a bright student with ambitious career plans, you just need a bit of help to get your degree. Start the application today for a fully financed degree and our mentorship program. Repayments only start when you get a job and are based on your future income. Your future is bright! You are a talented student and know a degree would kickstart your degree. Unfortunately you lack the financial means to do so. Brighter Investment has developed an investment model that may be able to help you out. If selected for our program we'll pay your tuition fees and housing costs for the remainder of your education as long as you keep your study results good. You'll also receive a monthly stipend for books and living expenses. Our program is available for both freshmen and continuing students. You repay a fixed percentage of your income and only once you start working. That way, successful students repay a bit more, unsuccessful students repay less and no student ends up with an insurmountable debt. The exact repayment terms depend on your degree and application, but repayment is typically 25% for 6-7 years if you require 4 years of financial support. After the repayment period, all students are debt free, no matter the amount they have repaid. If selected, one of our colleagues will walk you through the agreement and answer all your questions so you fully understand all the details before you sign up. We don't accept any student, we are looking for the brightest ones. We have partnered with some of the best degree programs in the country that offer graduates great career prospects. To learn more about the degrees we support and application requirements, visit the application page, select your country and search for the degree you would like to pursue. To further ensure your success, we will pair you up with a mentor to help you study and to support your job search. Start your application now by providing us with the contact details of one of your teachers. Based on their recommendation and your application we will provide you with an individualized financing offer for you to accept or reject. The right degree can increase your income 3-5X. Despite this high return, student loans are often not available and there are very few scholarships. This puts higher education firmly out of reach for 60 million bright high school graduates per year. We propose a partnership between you and our investors that is based on mutual strength and benefit. Review the supported degrees and requirements: Use the button below to navigate to the form to find out if you qualify. Also if you don't know yet what you would like to study, we recommend to get your application started. Fill out the application form: You can start your application before you receive your final high school exam score or have been accepted by your university. That way you'll know if we can support your education as soon as the university accepts your application. Get recommended by your teacher: As part of the application process, we will ask one of your teachers for a recommendation. You will need the email address of a high school or university teacher that knows you well. Wait for a final decision from our selection committee: Once you know your high school final exam score and are accepted by the university of your choice, complete the final step of the application. You'll receive our financing offer shortly after. If you decide to accept, you'll sign our sponsorship agreement at the university. 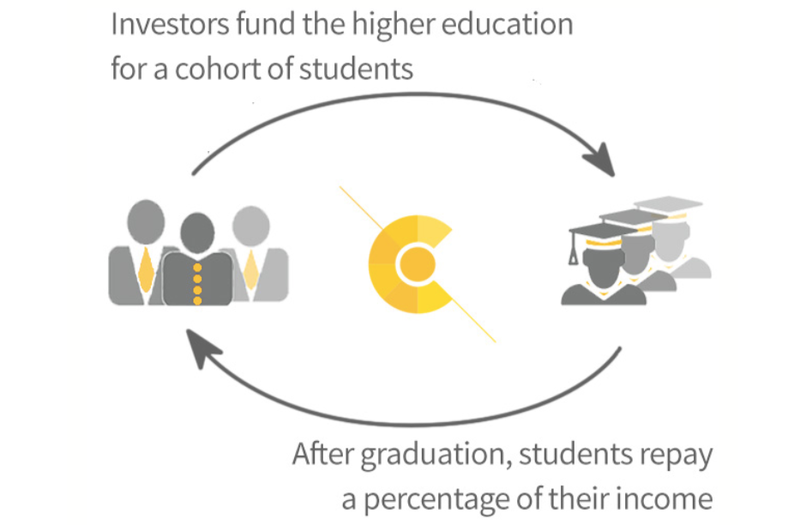 At Brighter Investment we believe that every talented student should have the opportunity to get a degree. We are excited about working with you to realise your full potential. If you have any questions please chat with us on Facebook or complete the contact form.